Support student scholarships as you network with colleagues. Hit the greens or jump on your bike to support over $27,000 in student scholarships awarded by WASBO annually to deserving Wisconsin high school seniors! Network on Wednesday, May 15 with district professionals and those who provide products and services to Wisconsin schools, then join us for two days of powerful professional development at the WASBO Foundation Spring Conference & Exhibits. WASBO offers two different fundraising activities. Golfers have the opportunity to play 18 holes at the scenic Thornberry Creek at Oneida in Hobart, while bikers will ride the Fox River Bike Trail. The Scholarship Golf Outing will be held rain or shine, on Wednesday, May 15 at Thornberry Creek at Oneida, located at 4470 N Pine Tree Road, Hobart. Registration check-in is available from 8-9:30 AM, and opportunities to hit on the practice range are available during this time as well. The event kicks off with a shotgun start at 9:30 AM sharp, and sixsomes will play a best ball scramble. 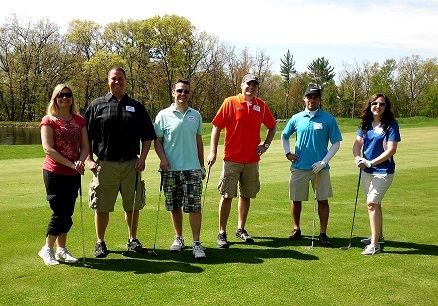 WASBO Service Affiliate Members sponsor hole events to make this a fun networking opportunity for everyone while we benefit kids by raising money for student scholarships. When registering for golf, please indicate any potential partners you would like to be paired with (teams will consist of both school district professionals and service affiliate vendors). Every effort will be made to honor your preferences. Registration is $105 and includes 18 holes of golf, mulligan/putting contest/string game card, cart, lunch, beverages, networking, as well as a late afternoon reception (4:30-6:30 PM) at the KI Convention Center with beverages, hot hors d'oeuvres, and the awarding of golf prizes. As an alternative to the golf outing on Wednesday, WASBO offers its seventh spring bike tour. We invite you to bike the Fox River Bike Trail from the Hyatt Regency to the restaurant, where we will stop for lunch at noon. The trail to the restaurant is 6 miles long, making for a 12-mile round trip. Those that are interested in a longer ride can meet earlier at the Hyatt Regency to go further down the trail before coming back to meet everyone for lunch. You will need to bring your own bike and helmet. Experienced riders will be along for the ride to assist with mechanical issues. 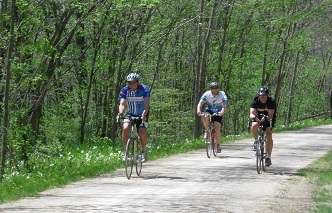 The Fox River Bike Trail offers beautiful scenery and runs parallel with the Fox River. The Spring Bicycle Tour is a fundraising event supporting WASBO student scholarships. The tour is $40 and includes the daily trail pass, lunch, water and snacks for the ride, as well as a late afternoon reception (4:30-6:30 PM) at the KI Convention Center with beverages, hot hors d'oeuvres and networking with the golfers and conference attendees. A waiver of liability form will be provided on site for your signature. Participants must wear bike helmets. To register please sign in or click the create a new account link in the area to the right. If you are a WASBO member or have previously attended a WASBO event, your User Name is your email address. If you don't recall your password, click the Forgot My Password link to the right to reset it.